With Christmas just around the corner, we all have to start thinking about buying gifts for friends and relatives and sometimes that can be difficult. Who knows what people what these days? Well skincare products always go down well with everyone, regardless of their age or gender. So to help your shopping go a little easier this year, here is my Top 10 list of skincare & beauty gifts for Christmas 2016. AHAVA – Active Deadsea Mineral Skincare. The Body Shop Skincare Products. LiftLab Skin Regeneration Skincare Products. Natura Bisse Skin Care Products. AHAVA is a skincare company that offers a line of beauty products created from Dead Sea minerals. Their factory overlooks the Dead Sea in Israel and their products are used by both men and women (they actually have a line of men’s skincare products). It is the minerals from the Dead Sea that make their products so special, in fact the Dead Sea contains the highest concentration of minerals in the world (32%). You will be happy to know that all of their skincare products are free from parabens, SLS/SLES, petroleum, and harsh synthetic chemicals, are not tested on animals, and are perfect for sensitive skin. The AHAVA range of skin care products are number 1 on my list of skincare & beauty gifts for Christmas 2016. Check out the AHAVA Dead Sea Crystal Osmoter X6 Facial Serum for intensive wrinkle reduction, the AHAVA Dead Sea Plants Caressing Body Sorbet for incredible softness and super hydration or the AHAVA Purifying Mud Mask to deeply clean and purify your skin. 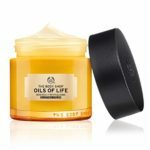 Most of us are familiar with The Body Shop, a skincare brand that started 20 years ago, dedicated to giving us high quality, natural skincare, whilst at the same time protecting our planet, reducing our carbon footprint and standing up against animal testing. As a company, The Body Shop is committed to ensuring that 100% of their natural ingredients are traceable and sustainably sourced and that their products are Fair Trade, 100% vegan, are never tested on animals and are free from parabens, silicone, mineral oil and paraffin. 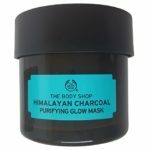 Check out The Body Shop Himalayan Charcoal Purifying Glow Mask, The Body Shop Oils of Life Intensely Revitalising Facial Oil or The Body Shop Oils of Life Intensely Revitalising Sleeping Cream. The Body Shop range of skin care products are number 2 on my list of skincare & beauty gifts for Christmas 2016 and they make fabulous stocking fillers. Perricone MD is a skincare range created by Dr Perricone, a well-known Dermatologist who believes that a mix of nutritional supplements, an anti-inflammatory diet and skincare products with anti-inflammatory activity leads to a healthy life and beautiful, clear skin. Many of the ingredients found in the Perricone MD skincare products are proprietary formulations and are considered to be breakthrough technologies in the fight against aging skin. None of the Perridone MD products are tested on animals and none of them contain parabens and many of them produce results in minutes! Check out the Perricone MD Cold Plasma (one of their Best Selling products) to address the 10 visible signs of aging, the Perricone MD High Potency Face Firming Activator to combat fine lines ans wrinkles and the Perricone MD Concentrated Restorative Treatment to help firm and repair skin. Perricone MD is number 3 on my list of skincare & beauty gifts for Christmas 2016 and make wonderful gifts for family and friends. LiftLab Skin Regeneration was founded 25 years ago to produce a unique protein that naturally protects plants and animals in extreme conditions. 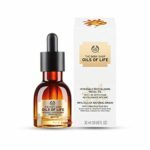 Initially purified and used for medical uses, the regenerative effects of this protein were found to be phenomenal, helping to postpone wrinkles, dryness, sagging and other visible signs of aging. The protein known as CPP also helps skin heal 95% faster than normal and LiftLab are the world’s only producer of this fabulous protein. LiftLab mix natural ingredients with cutting edge technology, creating a range of skincare products that enhance your skin and keep the ravages of time at bay for longer. Check out the LiftLab Purify + Clarify Daily Cleanser and Detox Mask, the LiftLab Lift + Perfect Total Rejuvenation Cream or the LiftLab Lift + Firm Eye Cream. Bliss is a global leader in the spa world with a deep understanding of how to keep your skin feeling healthy and glowing. Their main product line is spa products, focusing on giving people the wonderful feel of a fresh spa at home. The Bliss Triple oxygen line is designed to energize your skin and reveal brighter healthier skin and is infused with spa-powered ingredients that will totally transform your skin. This range of skincare brightens and evens your skin tone, enhances the skin’s natural moisture barrier and revitalizes your skin. Check out the Bliss Triple Oxygen Energizing Vitamin C Day Cream, the Bliss Triple oxygen Radiant Protection Energizing Serum and the Bliss Triple Oxygen Instant Energizing Foaming Mask. Bliss is number 5 on my list of skincare & beauty gifts for Christmas 2016 – add some Bliss to your life! Owned by L’Oreal, VICHY is a French Company founded by Dr Haller and has been creating wonderful beauty and skincare products since the 1940s. VICHY is one of the few skincare brands that is totally trusted in Europe, because it caters for all skin types, ethnicities and ages. French women understand the need for preventative anti-aging skincare and take to it with abandon, they don’t wait to see wrinkles appearing before they start using the VICHY products. All you need to do is to decide whether you want to focus on anti-aging, acne prevention, super hydration, or banishing dull skin – then pick your products. You can mix and match from different lines to customize your beauty routine, but why not check out the VICHY Life Serum, the VICHY Aqua Thermal Rich Cream and the VICHY Anti-Wrinkle and Firming Moisturizer. VICHY is number 6 on my quick and simple list of skincare & beauty gifts for Christmas 2016 – buying gifts has never been so easy! Natura Bisse was founded in 1980 by Ricardo Fisas Mulleras in Spain and focused on creating skincare products with high concentrations of active ingredients. They pioneered the application of amino acids (proteins) in skin care products, providing products that could truly penetrate the skin, delivering nourishment where it is needed. Natura Bisse have created a broad range of products that some believe are the next best thing to medical fillers and cosmetic surgery, increasing skin volume and density, improving facial contours and reducing wrinkles. Check out the Natura Bisse C+C Vitamin Cream to defend your skin against free radicals, the Natura Bisse ‘The Cure’ Sheer Eye to reduce fine lines and wrinkles around the delicate eye area and the Natura Bisse Oxygen Mousse to clean your skin and eliminate impurities. Natura Bisse is number 7 on my quick and simple list of skincare & beauty gifts for Christmas 2016 – who said Christmas shopping was difficult? Mario Badescu was founded by Mario Beadescu many years ago, because he wanted to bring the handmade skin care products from his native Romania to New York. His focus was on creating skin care lines suited to his client’s individual skin types and this legacy follows on through to their skin care range today. Using fresh botanicals and natural ingredients, Mario Badescu creates an extensive range of skin care products from potent anti-aging treatments to powerful acne solutions.You will find products suited to dry, normal, oily and sensitive skin for both men and women and they are all reasonably priced. Check out the Mario Badescu Seaweed Night Cream to nourish very dry skin, the Mario Badescu Drying Lotion as a fast acting acne spot treatment and the Mario Badescu Vitamin C Serum to brighten your skin, add moisture and stimulate collagen. 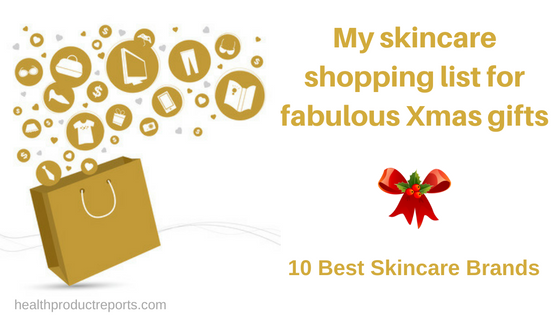 Mario Badescu is number 8 on my list of fabulous skincare & beauty gifts for Christmas 2016 – shopping is so much easier when you have a list! ELEMIS brings together the power of nature, science and aromatics to create high a quality skincare range from the British Isles. Using powerful marine and plant ingredients, ELEMIS has created product lines for both men and women, ranging from anti-aging treatments, to exfoliators and masks, facial oils and much more. None of the ELEMIS products are tested on animals and the only animal bi-products they contain are honey, beeswax and milk proteins. Their skincare products are like a breath of fresh air and have a growing list of loyal customers. Check out the ELEMIS Superfood Facial Oil to re-energize and nourish your skin, the Award Winning ELEMIS Resurfacing Facial Wash to encourage cellular renewal and the ELEMIS Pro-Collagen Eye Renewal to reduce the appearance of fine lines around the eyes. ELEMIS is number 9 on my list of fabulous skincare & beauty gifts for Christmas 2016 – don’t stop now, we are nearly at number 10! Everyone knows Olay and their deep understanding of how to counter aging skin, giving it back a more youthful glow and freshness. Without a doubt, Olay understands how skin truly behaves and their range of skincare products has grown constantly over the years. All of their ingredients are of the highest quality and proven with rigorous testing to deliver immediate and long lasting results. Just about everyone has a pot of Olay rattling around their home somewhere, which is why over 20 million women all over the world trust their skin to Olay. Check out the Olay Regenerist Micro-Sculpting Cream to lift firm and plump your skin, the Olay Total Effects 7 in One Anti-Aging Moisturizer for younger looking skin and the Olay Regenerist Luminous Tone Perfecting Cream for brighter and lighter appearing skin. Olay is number 10 on my list of awesome skincare & beauty gifts for Christmas 2016 – now you have everything you need to make Christmas gift buying simple this year.